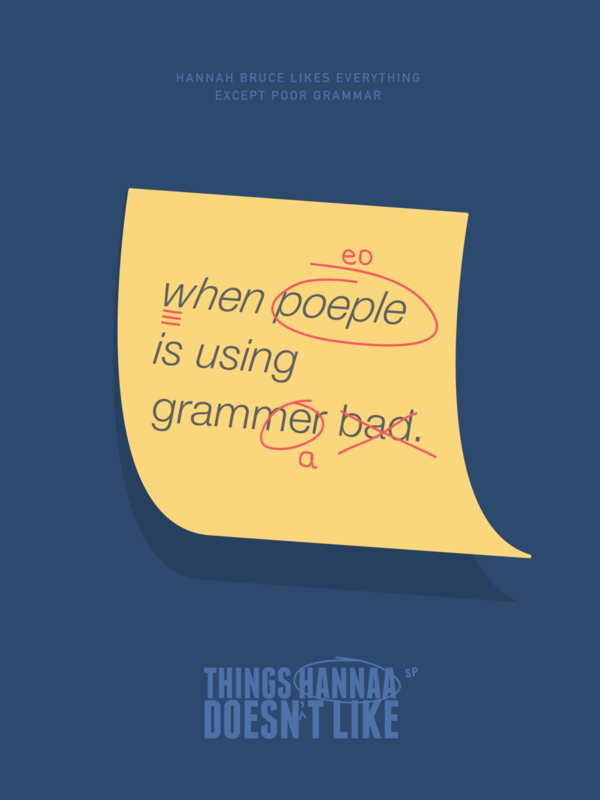 Why not have a little fun and make a poster series out of your friends' pet peeves? 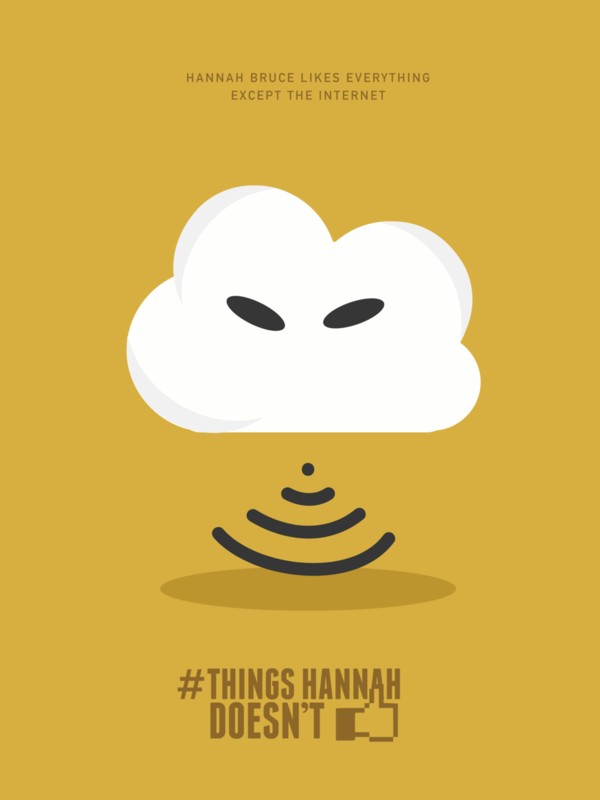 Hannah Bruce likes a lot of things, but the things she doesn't like really get under her skin. So I came up with a handy series to describe her dislikes. This project was a lot of fun. It was also one of my first experiences with digital illustration and I absolutely loved it..